North Valley Coalition of Concerned Citizens | NoDump.com | What if I accidentally break a fluorescent lamp in my house? Home/What if I accidentally break a fluorescent lamp in my house? Well I don’t know about you but I have been considering putting in fluorescent bulbs but I know that if you break them they are very dangerous and pretty much require a Hazmat team to come in and clean up. This is the first article that I have seen (see below or go to website) on how to clean up a break so if you are considering them or you already have them take note…. Do not use a vacuum cleaner to clean up the breakage. This will spread the mercury vapor and dust throughout the area and could potentially contaminate the vacuum. Keep people and pets away from the breakage area until the cleanup is complete. Ventilate the area by opening windows, and leave the area for 15 minutes before returning to begin the cleanup. Mercury vapor levels will be lower by then. For maximum protection and if you have them, wear rubber gloves to protect your hands from the sharp glass. Pat the area with the sticky side of duct tape, packing tape or masking tape to pick up fine particles. Wipe the area with a wet wipe or damp paper towel to pick up even finer particles. Remove the container with the breakage and cleanup materials from your home. This is particularly important if you do not have a glass container. Take the glass container with the waste material to a facility that accepts “universal waste” for recycling. To determine where your municipality has made arrangements for recycling of this type of waste, call your municipal office or find your town in this list of municipal collection sites(MS Excel format) (pdf format). When a break happens on carpeting, homeowners may consider removing throw rugs or the area of carpet where the breakage occurred as a precaution, particularly if the rug is in an area frequented by infants, small children or pregnant women. Finally, if the carpet is not removed, open the window to the room during the next several times you vacuum the carpet to provide good ventilation. The next time you replace a lamp, consider putting a drop cloth on the floor so that any accidental breakage can be easily cleaned up. If consumers remain concerned regarding safety, they may consider not utilizing fluorescent lamps in situations where they could easily be broken. Consumers may also consider avoiding CFL usage in bedrooms or carpeted areas frequented by infants, small children, or pregnant women. Finally, consider not storing too many used/spent lamps before recycling as that may increase your chances of breakage. 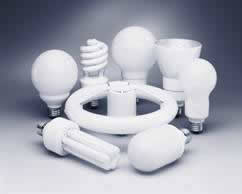 Don’t forget to properly recycle your used fluorescent bulbs so they don’t break and put mercury into our environment. 1Other jars that can be made of glass and also work are pickle, peanut butter and applesauce jars. Not ideal but also a good choice for containing breakage is a heavy duty #2 plastic container with either a screw lid or push-on lid such as a joint compound bucket or certain kitty litter-type containers. 2If the only suitable jar available has food in it, you may need to empty it into another container before using it.